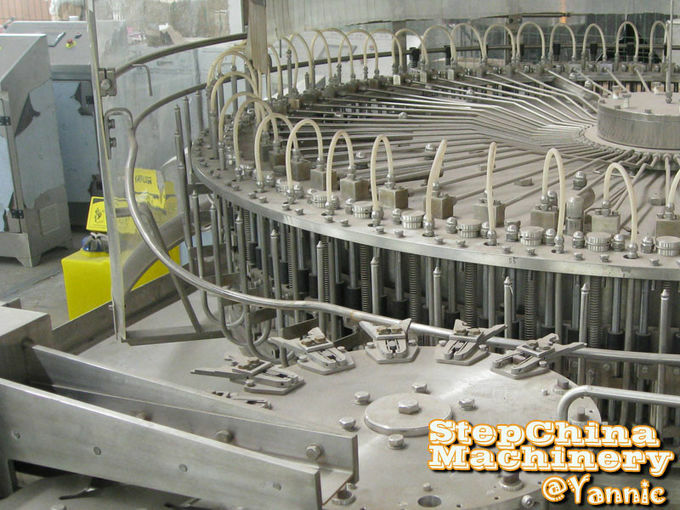 The machine is an automatic multiple-funcition washing, filling and capping unit. It is used in washing, filling and sealing all kinds of no gas contained liquid, such as drinking water, pure water, flavor water, vinegar & soy sauce, etc. The equipment has features of unique design, new style, complete functions, multi-purpose, convenient in operation, beautiful construction, high automaticity. 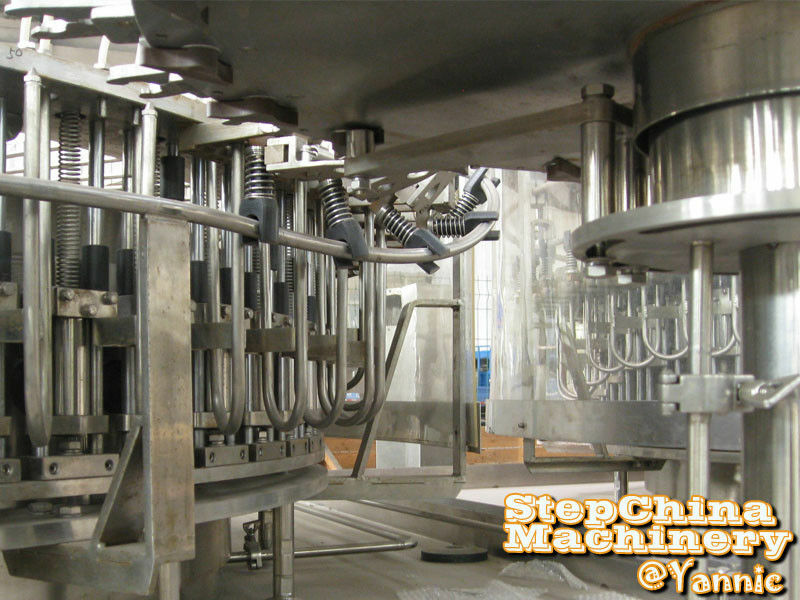 It is one of the best filling equipment in china market. High capacity filling machine is consist of washing machine, filling machine and capping machine. considering transportation, it could be departed intro three parts. assembeling in the factory for production. the whole part of washing machine is made of stainless steel. water draining time is 3 seconds. New type of high flux filling valve cound ensure high efficient filling working. there is air drain pipe in the filling valve to control water level in bottled water. we could ensure certain water level based on your requirement. High speed running without shaking. ABB motor, Mitsubishi PLC, Schneider switch, Banner sensor, Siemens touch screen are all high quality for steady working long long time.